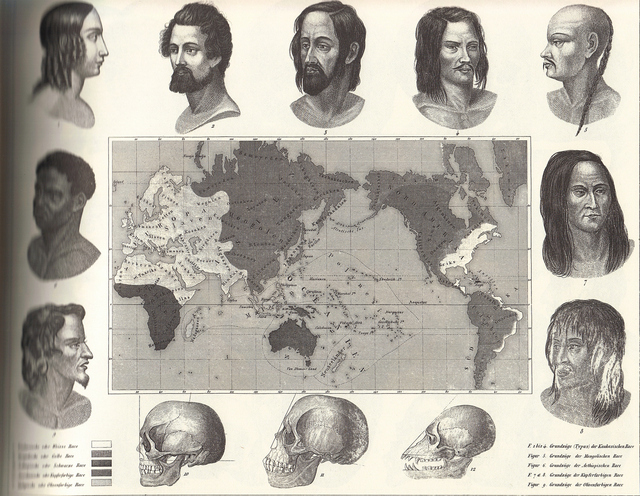 Until Darwin: Science and the Origins of Race: The New York Times Article and Editorial. Comment I on "Morton vs Gould"
The New York Times Article and Editorial. Comment I on "Morton vs Gould"
In the study of life, all knowledge is provisional. Just as it is the establishment of laws fundamental to the sciences, so too is skepticism equally important to the sciences --- and those which aspire to be included in the sciences--- and the long struggle to free scientific rationality from dogma and ideology itself demonstrates that conclusions are subject to change and reinterpretation. This is in fact what the authors want to do with the essay under review: to alter our interpretation. To the extent that they succeed is in fact this same aspect of scientific rationality that both makes their work open to use in support of dogma and ideology, and makes it persuasive as well. Similarly, if we take the example of historical sociology, we find our understanding of the the past is provisional and interpretations change as well as the disciplining and division of labor in society change over time. But of course, one must acknowledge that neither the search for laws nor radical skepticism have prevented many from asserting that their view of history is the one true history. Sextus Empiricus’ radical skepticism was geared towards preventing the acceptance of dogma as fact. is to be understood from a number of perspectives, and this certainly leaves it open to narrow ideological readings. The range of these readings express the various commitments of its many readers and commentators. The first place to turn is the article in the New York Times that announced the Lewis, DeGusta article. The headline of the article, which is not the responsibility of the Wade, is of course somewhat sensational. Gould and Lewis, DeGusta, et al. agree that Morton held views that today would be considered racists, though racialist is a better term. Lewis, DeGusta et al. are not attempting to dispute Morton’s racialism, but whether that scientific ideology caused Morton to inaccurately report the measurements of the crania in his collection. This is a very narrow question, which Gould believed to be current based upon his examination of Morton’s results, but that the authors of the new article believe to be not the case. Much of the the Wade/NYTimes article is a largely accurate characterization and summary of Lewis, DeGusta, et al., except for a sentence that the new study “does little to burnish Dr. Gould’s reputation as a scholar.” In fact, Gould reputation as a scholar does not and never did rest on his essay and later chapter on Morton’s craniological studies. Much like his hero, Charles Darwin, Gould’s work as a naturalist was never divorced from his other work. Just as Darwin’s work was partly motivated by his anti-slavery convictions, so too was Gould compelled to use science as a basis for an intervention into the large political questions of his day. Gould was also a scientist who intervened into the history of science and its popular understanding, particularly in the arena of the public understanding and misunderstanding of Darwin’s work. The work The Mismeasure of Man falls into this group of popular political writings. It is a book about biological determinism and the then current political/popular debates over race as an explanation for intelligence. And popularizing and popularity are always something that one’s detractors will point towards as a sign of lack of scientific integrity. 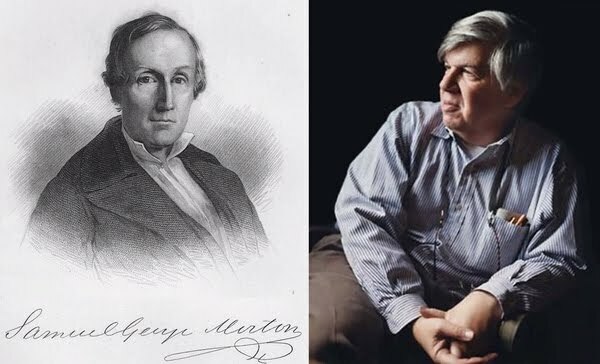 It is useful to compare Mismeasure with his more academic Ontegeny and Phylogeny (1978), wherein Morton is not mentioned, and his Structure of Evolutionary Thought, where again Morton does not appear. This can not help be raise a question concerning the centrality of the chapter on Morton to Gould’s body of work. We will save such notices and discussions until a later posting in this series. B. The study is based on remeasuring half of the human crania in Morton’s collection (his collection contained examples of the crania of many non-human species as well). Regarding the final statement it is no doubt true that the collection of data and the analysis and interpretation of that data are intimately connected. So much so that the “racial labels” can not be avoided, though it is good to point out that Gould and Morton did not attach the same meaning and degree of fixity to those labels. The dispute then is over the accuracy of Morton’s measurements and the fairness of Gould characterizations that he based on his own analysis. The errors in Gould’s analysis are not shown in the article to be the result of conscious error or deliberate manipulation. Gould also did not accuse Morton of conscious error or deliberate manipulation. D. “‘Ironically, Gould’s own analysis of Morton is likely the stronger example of a bias influencing results.’” A stronger example, but not a demonstration that bias does not influence scientific work, but rather an affirmation that scientific work can be biased, which might be he most ironic aspect of the so-called debate. The author’s paragraph on Morton’s interpretation of his data was not mentioned in the Times article. No doubt, this was done in order to set up the inevitable journalistic trope of “two sides to every story.” We are presented with an ambiguous statement by Lewis regarding Gould’s integrity, but as it is obviously out of context, it is simply ambiguous. The real contest is prefaced by the mention of an article by John S. Michael, who as an undergraduate at the University of Pennsylvania “Concluded that Morton’s results were ‘reasonably accurate’ with no clear sign of manipulation.” The reason this is mentioned is because it will be referred to in the concluding ‘exchange” between Philip Kitcher and Ralph L Holloway, the former having defended Gould in the matter of the Mitchel article, with the later being one of the authors of the study. The dispute is presented as being about the appropriateness of “prefer[ring] the measurements of an undergraduate to those of a professional paleontologist.” But as we know and as Gould himself states in the Mismeasure of Man and Lewis, DeGusta, et al. attest as well, Gould did not do any measurements of the skulls himself. Regarding the rather extreme accusation that Gould was a charlatan, only time will tell but there seems to be little evidence for such a claim. Certainly, the idea that Gould was deliberately fraudulent in his work would demand a good deal more proof than a few computation errors, no matter what implications he took from the results of those errors. Certainly the same could be said for Morton. Or is it that Gould’s errors were errors of computation, while Morton’s were errors of interpretation? Gould certainly seems to force the chapter on Morton into a work about biological determinism. However, it and the other early chapters of the work are presented as the historical backdrop for the then current debate on intelligence testing and social welfare policy. The focus of the book is not Gould’s belief in Morton’s errors. Morton simply provides one example of many and perhaps this is the basis for the erroneous presentation of Gould’s discussion of Morton as a key aspect of the Mismeasure of Man. Gould did his analysis of Morton’s data over the course of several weeks, and for the most part relied on Stanton’s wonderful book The Leopard’s Spots, for his discussion of Morton and polygenism. Likewise, Lewis, DeGusta, et al. also use Stanton’s book as their authority. Gould’s larger error was not in seeing science as embedded in society, nor in missing his own computational errors, but in his attempt to establish a continuity between phrenology, Morton’s craniology, Lombroso’s criminal anthropology, and later theories of intelligence and the ranking of groups by intelligence testing. All of these he saw as examples of a biological determinism that could be found in both scientific research and in the social policies that arose from that scientific data. However, there are significant differences between these “wretched knowledges” (Neugebauer) and scientific ideologies (Canguilhem). Though Morton and the phrenologist Combes were good friends, Morton moved significantly away from phrenology by examining the capacity of the crania rather than its external characteristics. Morton’s work was undertaken before the transition from Natural History to Biology, and so Morton’s determinism is not really biological as it is based on the fixity of species. Lombroso’s theory of degeneration is a product of the post-Darwinian period and not directly derived from Buffon, for example, and owed little to Morton. Lombroso’s socialism also has little resemblance to Gould’s. Measurement does provide some continuity, but one would expect measurement of some kind in any rational investigation. In each era, measurements are being taken, but of different things and for different reasons. In terms of the study of human variation, Gould's discussion does not go into detail about the social context as much as he more pursues the history of ideas, a pursuit that was common when Mismeasure of Man was published some thirty years ago. As for responding to critics, Gould states in the revised 2nd edition that in terms of negative reviews “I firmly believe in not answering negative reviews, for nothing can so disorient an attacker as silence. But this was a bit too much [re: a negative review in The Public Interest that the first edition was, as he in part summarized as “politically motivated crap”], so I canvassed among friends. Both Noam Chomsky and Salvador Luria, great scholar and humanists, said essentially the same thing: never reply unless your attacker has floated a demonstrably false argument, which, if unanswered, might develop a ‘life of its own.’” (Mismeasure, 2nd edition, p.45). “We must identify preferences in order to constrain their influence on our work, but we do not go astray when we use such preferences to decide what subjects we wish to pursue. Life is short, and potential studies infinite. We have a much better chance of accomplishing something significant when we follow our passionate interests and work in areas of deepest personal meaning. Of course such a strategy increases dangers of prejudice, but the gain in dedication can overbalance any such worry, especially if we remain equally committed to the overarching general goal of fairness, and fiercely committed to constant vigilance and scrutiny of our personal biases” (Mismeasure, 2nd, p.37). Canguilhem, Georges. 1988. Ideology and Rationality in the History of the Life Sciences. Cambridge: MIT Press. Gould, Stephen Jay. The Mismeasure of Man, 2nd Revised and expanded edition. 1996 [first edition 1981]. Mayhew, Henry. The London Labour and the London Poor. New York: Penguin Classics, 1985:509. New York Times. “Bias and the Beholder.” Wednesday, June 15, 2011. New York Times. Profiles in Science: Nora D. Volkow, A General in the Drug War. New York Times, Tuesday, June 14, 2011, D1-D4. Neugebauer, Otto. 1983. Astronomy and History: Selected Essays. New York: Springer-Verlag. Stanton W (1960) The Leopard's Spots. Chicago: The University of Chicago Press.